Dr. Shalini Thomas obtained her medical degree from Government Medical College, Trivandrum, India in 1999. Subsequently, she pursued her postgraduation (MS & DGO) in Obstetrics and Gynaecology from Government Medical College, Kottayam, India in 2005. She has worked as Assistant Professor at Amala Institute of Medical Sciences & Cancer Hospital, Sree Gokulam Medical College & Caritas Hospital, India, teaching undergraduates, nursing students & post graduates. 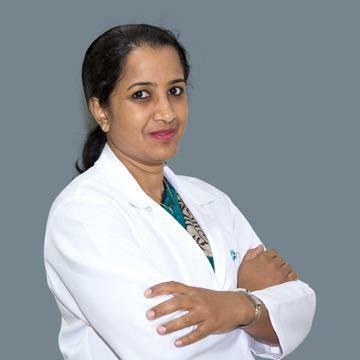 She has had FOGSI approved specialised training in Laparoscopy & Hysteroscopy & Ultrasonography in India. A WHO recognized Colposcopy training was also undertaken by her at International School of Colposcopy, Regional Cancer Centre, Trivandrum, India. She is fluent in English, Hindi & Malayalam.